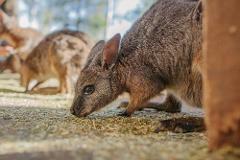 Purchase entry and get closer to the largest Aussie Animal experience. Buy your General Admission tickets online and receive 1 x enviro tote bag per booking and bottled water per guest when you arrive at the park! A year of fun at Featherdale with our Annual Passes! 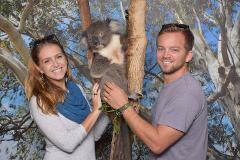 Purchase our pass for the ultimate day at Featherdale Wildlife Park, including General Admission ticket and a Personal Koala Encounter! 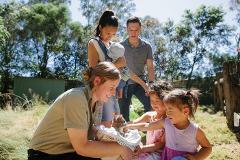 Purchase entry and get closer to the largest Aussie Animal experience. Treat yourself to a snack with your next visit with this great Admission + Tea combo!